The key to good milling is surface quality and fast cycle times. To achieve them, manufacturers need a high-speed spindle, intelligent software and a versatile CNC capable of getting the most out of their machines in the face of changing material and production requirements. 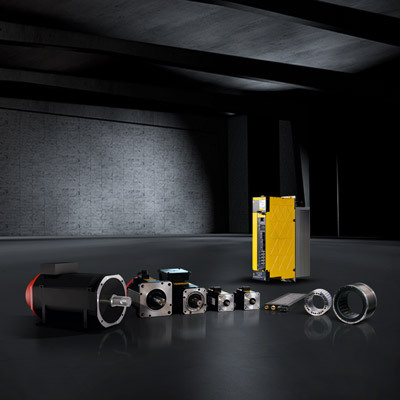 But to ensure these have a positive impact on their bottom lines, one more element is needed – rock solid reliability. On high-volume production runs, parts per hour is all that really counts. 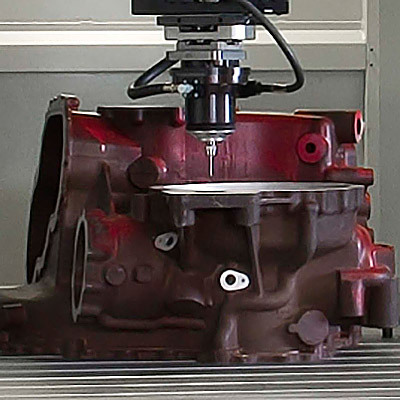 For example, to achieve fast cycle times, you need to optimise your high-speed CNC machining processes using intelligent functionality that anticipates and learns. Good support for your applications helps to underscore this even more. 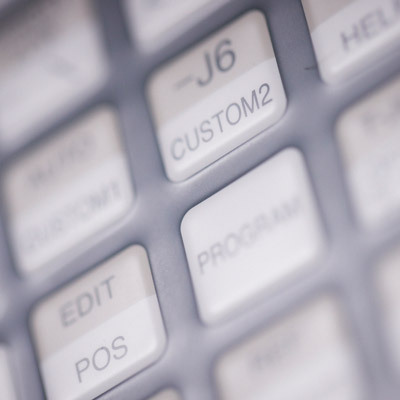 To maximise production you will need intelligent software functions that prevent damage to CNC milling machines and tools and stop you having to slow down or perhaps even interrupt the production process. Equally important is the ability to carry out intelligent preventive maintenance and get access to good maintenance services and parts. You will probably also want to choose a very reliable CNC with the highest MTBF you can find. 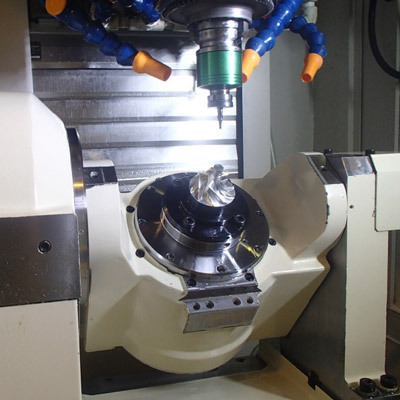 To benefit from consistent repeatability and accuracy you will need to be able to calibrate your milling machine from time to time - especially the rotary axis on 5 axis machining - and be capable of doing it yourself. Depending on what and how much you produce, your machine will need a motor capable of maximising output. More importantly still, it will need to keep on running no matter how many hours it operates. To find the right motor for you, you are best off talking to a reputable supplier with an extensive range of proven motors and spindles. 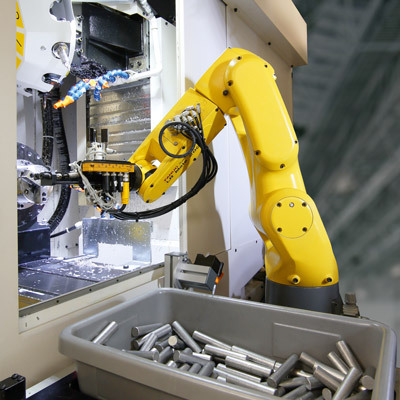 Adding robots is a great way of increasing throughput on repetitive machining processes. Cycle times can be further improved by using smart software to streamline robots with your machining centre. This could, for instance, allow tending robots to control the machine tool’s door and improve productivity by increasing their ingress and egress speeds. 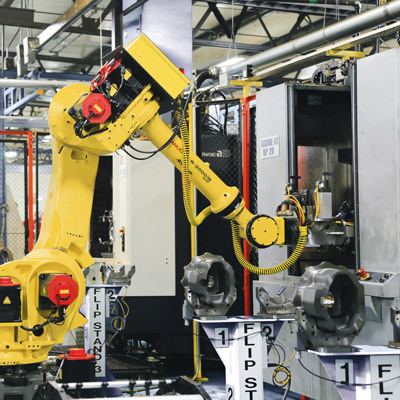 Intelligent safety features supported by some CNCs make it possible to operate a machine tool with the door open or a tending robot without safety fences. Large or complex parts such as blisks or impellers take a long time to process and carry an increased risk of tool breakage. 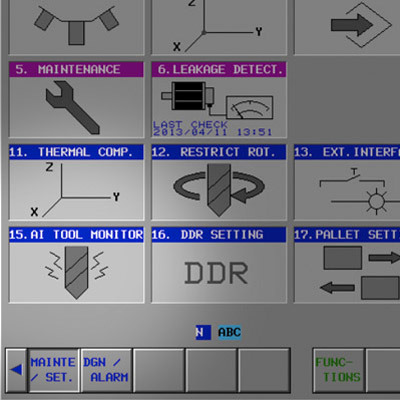 Should a breakage force you to stop machining, special software enables you to restart the machining process quickly from exactly the same point, saving you time and maintaining your production schedule. You need to know the minute a tool breakage or similar issue upsets or stops production. Some CNCs send you a text message or email the moment this happens and even enable you to monitor the status of your machine via the Internet. 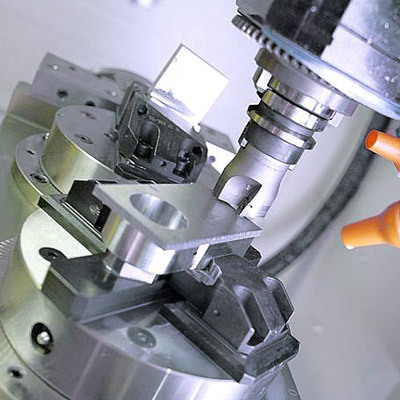 High-speed milling large or complex parts often requires you to have a lot of different tools in your changer. Intelligent functionalities help optimise these processes by monitoring tools and managing tool changing operations. Depending on the material being machined, thermal growth during extended milling processes can affect the radius and/or length of the tool and spindle. Intelligent thermal control and compensation functions on advanced machines account for this, guaranteeing you repeatable accuracy whatever the process.